Plumville Presbyterian Church in Plumville, PA, was one of three congregations awarded with a $500 grant from the Synod of the Trinity after submitting a photo or video showing how it celebrated the Synod’s 300th birthday on Sept. 17, 2017. 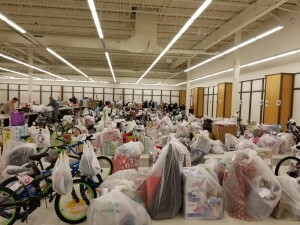 Below is an overview of how the congregation used the grant, as written by Plumville Church mission committee member Shirley Marshall. The Presbyterian Church of Plumville has always put mission work in the forefront of their ministry. This small, rural congregation is nestled in the outskirts of northern Indiana County and part of the 79 area churches of the Kiskiminetas Presbytery in western Pennsylvania. Invited to share with the Synod how we celebrated their 300th anniversary, we posted the message on our outdoor sign and photographed the Sunday school attendees in front. Following worship, we had fellowship time with a decorated cake for the Synod. Submitting these pictures, our church was chosen to receive $500 in grant money. 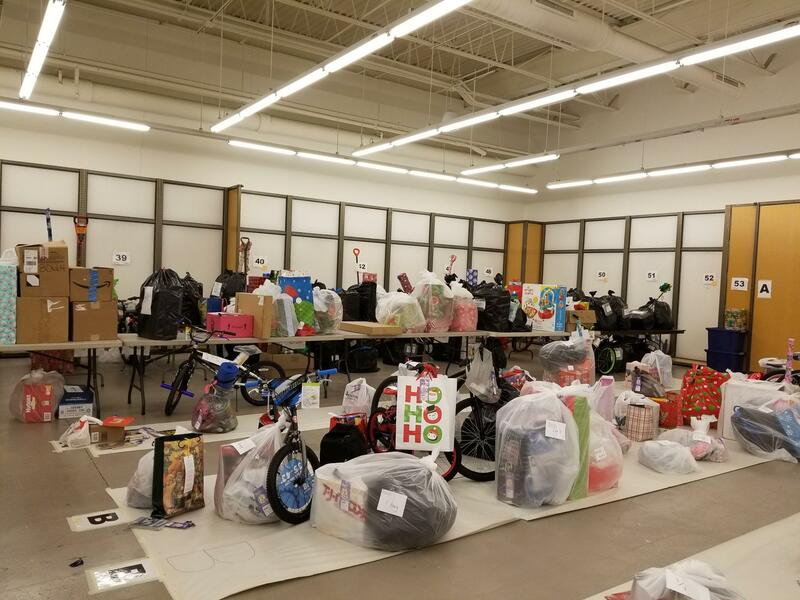 Our mission committee of the church had voted to take on a Christmas project called “Angels’ Wings.” This is a local county program that helps children, families, seniors, disabled and veterans to get through the holiday time each year. This past year 1,900 individuals were helped, which included 55 families. Our congregation chose to help 10 individuals (from child through older adult), along with two families. 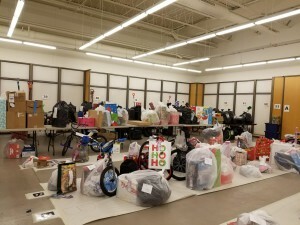 Members of the church chose tags from a tree within the church and were invited to purchase gifts for the individuals – young and old alike – and to also help purchase gifts for two families, plus provide groceries for Christmas dinners for the two families. Individuals even purchased gift certificates from a local grocery store to help purchase fresh produce, meats, etc. for their dinner, along with baskets of food for each. Our goal was to send back all 12 tags completed, whether purchased by individuals or by the church. 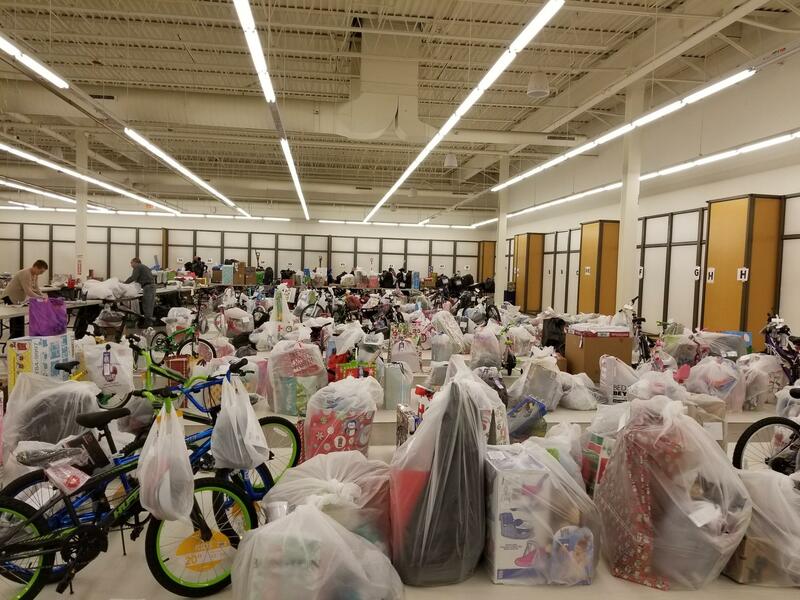 Thanks to the generosity of the Synod, and the congregation of the church, this goal was achieved in helping individuals and families in our county celebrate Christmas in 2017.